[Neil Gaiman + Craig Ferguson] x TARDIS = Awesome. Having thoroughly insulted Tony Lee the other week (by accident, I hasten to add; blame our Colonial cousins for making me stay up past my bedtime), I thought it only fair to make my next review not only a Big Finish one, but his Big Finish one. 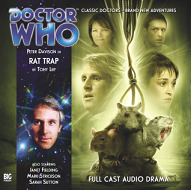 So, having batted my eyelashes at the Prof to download it for me, I settled back to listen to Tony’s first foray into Big Finish audio adventures: Rat Trap. If you suffer from murophobia, this is probably not a good story to listen to unless you fancy giving yourself a serious case of the heebee-geebees. The anti-vivisection message is a little over-played although amusingly done (for the most part) and is very in-keeping with the whole Doctor Who evil scientist ethos. As an ex-research scientist (who never did any animal experiments, I hasten to add) it’s always interesting to see how lay-people tackle the field and I wasn’t disappointed by the cod-science in this story; it really made me giggle. This is a Good Thing(TM), because I have been known to shout rude words at the telly in response to the sheer crappiness of the “science” on display in some purported sci-fi offerings. I get glared at in cinemas as well. I was always a fan of Nyssa; she was a smart, pretty scientist who only suffered the odd bout of utter girliness. She even got to change her outfit occasionally. Because of the story arc, this isn’t that Nyssa exactly, but she’s still in scientist mode and of all of the actors, Sarah Sutton still sounds virtually the same as she did in the TV series. Davison once again turns in a well-pitched performance and, as with Colin Baker, his Doctor really comes into his own through the audios. Janet Fielding and Mark Strickson are both good, although Tegan just doesn’t sound the same vocally. I’m reasonably new to Turlough as a character because I’d stopped watching by the time he showed up originally and have only seen a few of his appearances on DVD, where he came off as a bit of a slappable whiny brat. He seems to have grown out of that (thankfully) and let's face it, it’s always nice to have a bit of trouser in the TARDIS. There is ongoing continuity here, but its not overwhelming and I’m sure a quick check on the précis for other recent Fifth Doctor adventures would quickly get you up to speed if need be. My only real issue with Rat Trap wasn’t the story, but the voice effects on the villains. I have a minor hearing issue and the processing made it difficult at times to work out exactly what was being said. It was worse for some characters (particularly during the first episode) so it did make it a bit of a struggle to keep up in some places. Having said that, this is a fun Fifth Doctor romp, and even if everybody doesn’t end up dead in the end there’s just enough psychological damage for all concerned to make you feel like you just stepped back in time to the 1980s. We at DirtyWHOers towers are getting ready for another session of alcohol abuse, and this time we'll be recording our tribute to the ever-awesome Liz Sladen. Wanna help? We're looking for 30-60 second contributions from YOU. We want to know what SJS meant to YOU. What are your memories of Liz and SJS? Just send your MP3 or WAV files to DirtyWHOers@gmail.com, and remember to say who you are and (if you're from another podcast) what podcast you're from. If you need a quality bit of free recording software to help you with this, check out Audacity. Cut off date for this will be Friday 22nd July 2011. We can't accept files after that, as there will be a release within a few days. Any questions, or if you need more information, please just grab our attention through the DirtWHOers Facebook page. In uncharacteristic timely fashion, thanks to Terry and The Prof, we review end of mid-season ender 'A Good Man Goes to War'. Did he rise and fall as much as Mr. Moffat would have us believe? Was the big reveal actually a big reveal at all? Was it the satisfying climax we'd all cough up the dollars for? Enquiring minds want to know, and should probably get out more. Despite the exceedingly large back catalogue the Prof has of Big Finish audios that I’ve promised to listen to, I’ve been taking a bit of a detour into Nu-Who lately, inspired by our rather fun freebie “The Hounds of Artemis”. Having received a £5-off voucher for Audio Go, I decided to once again investigate what else James Goss had been up to. 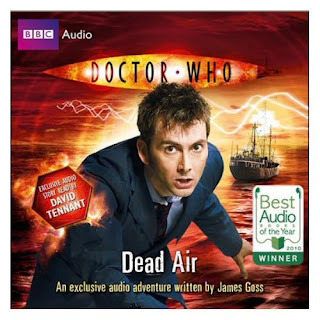 Perusing the extensive Doctor Who collection, I stumbled across “Dead Air”, a Tenth Doctor story which had won a best audio-book of the year award from The Audiobook Store (who?) in 2010. The sample sounded interesting, despite apparently having been recorded a fraction too slow, and for 49p (after using the voucher, obviously) I figured I couldn’t be robbed. There’s a reason why the sample is too slow, which I won’t spoil for you; it’s another example of Goss playing with the story-telling format to give this audio-only story a little twist. There are overtones of “Blink” and “Empty Child” (no bad thing) in a variation on the base under siege story so beloved by Doctor Who writers over the years, when the Doctor lands on a pirate radio ship in 60s Britain hunting for an escaped super-weapon. There are also touches of Big Finish’s Sapphire and Steel (again, no bad thing), which all helps to create a claustrophobic atmosphere and the certainty that, as with so many of Tennant’s episodes, its all going to end really badly for someone. Goss has captured the Tenth’s over-confident manner and glibness to a tee, including his incessant habit of saying sorry without ever actually meaning it, making this feel like a proper Tenth Doctor story. Now Tennant may not always have been my favourite incumbent of the role, but given the right director and story he could and did turn in some great performances. Which is what he does here, giving each of the characters a genuine voice (unlike his replacement, who needs a bit more practice at that sort of thing). Having said that, I enjoyed “The Hounds of Artemis” more, even though “Dead Air” has a much more interesting premise (now there’s perversity for you). Maybe it’s because I find Liverpudlian accents hard to cope with, or because our lovely mate Dave Bulmer had done a superb skit on the resolution mechanism in his "Festive Books on Tape" (here or here) last Crimble (completely unintentionally, it must be said), but “Hounds” just has more charm. Even if you don’t have a fiver off, it is worth listening to and you will get repeat plays out of it if you want to catch all of the subtle sound effects. As with “Hounds” it’s not very long (almost an hour and a quarter), but if you enjoy Goss’ work, then it’s definitely one to add to the collection. ...on the plus side, it's mercifully short. "We want the finest wines available to humanity. And we want them here, and we want them now!" Hang on, so that's 2 different Doctors in the same film but dressed like 9 and 4? WTF? They seem to have forgotten to lock the TARDIS door, they must be well out of it.. This came to us via Phil on our Facebook page. Visit us there for more of the same. Fuschia attacked fellow Whovian Tony Lee with a microphone at MCM Expo, the big comic con down in London. Here are his death cries. Nice bloke. Great writer. Shame really. 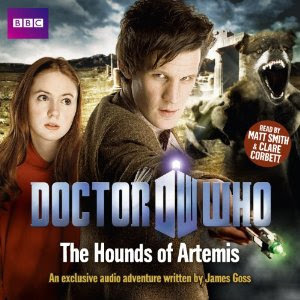 A few days ago I reviewed “The Hounds of Artemis”, a BBC audio-book written by James Goss. I enjoyed it, so much so that I began to investigate what other things he’d written for the franchise. 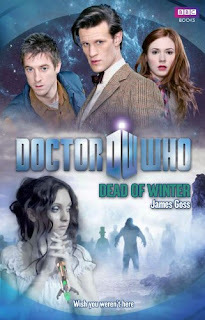 One in particular caught my eye: “Doctor Who: Dead of Winter”. It sounded suitably creepy and, demanding instant gratification, I bought it for my precious, precious Kindle so I could set to straight away. That and its only available as a hardback and Pixies don’t do well with hardbacks (excellent weapons, but too heavy for delicate hands). Basically, the Doctor and the Ponds crash-land on a beach in the South of France in the 1780s. Only problem is, they can’t really remember who they are and the sanatorium they’ve landed next to shouldn’t exist for another hundred years (give or take). Add to that the fact that the TARDIS has gone missing, there is a dense, clinging, glowing fog and the sea is singing to people and you have a very tidy little mystery on your hands. I really can't say anything more than that without giving the game away, so you'll just have to trust me on this one. The story is told from several people’s perspective, often in the form of the diary entries so nicely exploited in “Hounds of Artemis”. Mind you, you do have to wonder about the things some people include in a diary (although its not even close to the ludicrously salacious guff that gets included in the official ship’s log in one truly awful steampunk novel I read last year), but it still works very well. It’s often a big problem with novelisations that the author doesn’t get a handle on the characters so that the portrayals never quite sit comfortably, jarring you out of the action. Once again, though, Goss has captured the characters’ voices really well, so much so that you can tell when things aren’t quite right. There are a couple of nice twists, which you can spot if you’re paying attention, but it doesn’t spoil your enjoyment of the story if you do. There are nods back to the original series and Goss gently plays games with past knowledge regarding the potential source of the mystery. And it is creepy, really, really creepy; in fact, this would have made a cracking TV episode, either of Doctor Who or Sapphire and Steel (for those of us old enough to remember, that should give you a fair idea of just how creepy it is). 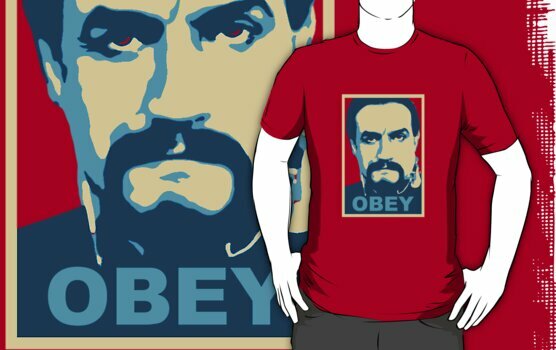 The red version is a separate design and then there's another version that is available on other colored shirts. 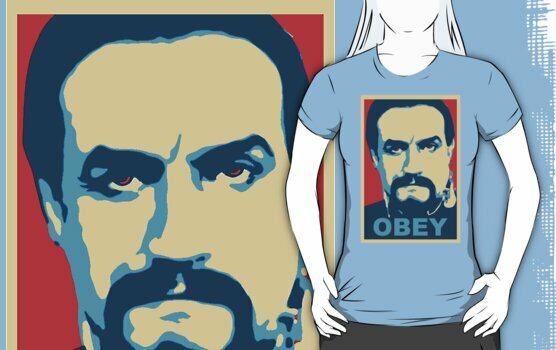 This one I made special for the red shirt to show through as the red on the design. Click picks to find these on Red Bubble. As you dear, loyal reader know, I’ve listened to a fair few Big Finish audios over the last few years, but I’d never actually listened to any of the Beeb’s audio-books until “The Hounds of Artemis” came along. I’ll fess up, I got it free. Pixies love free stuff although, as I mentioned a few weeks ago, I do draw the line at free Touchwood. I am fond of Matt Smith’s interpretation of the Doctor, so I was more than willing to give this a go, seeing as its read by him and Clare Corbett (who’s done some other audio book stuff with Tom Baker). I’m not quite sure why they didn’t get Karen Gillan in to help out, but Ms Corbett does a very good job in her stead. Make no mistake, this is a good old rip-roaring period adventure involving archaeologists, aliens and ancient curses. There’s even a loving nod to “Pyramids of Mars” at the beginning, showing that writer James Goss knows his stuff. 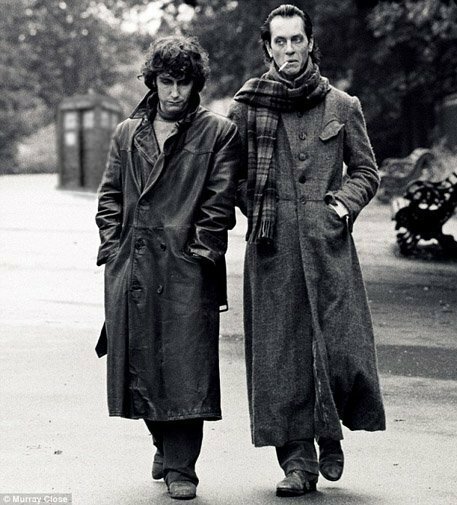 The narrative has been very sensibly divided between the two actors, Smith (obviously) reading from the Doctor’s point of view with Corbett filling in much of the detail via a series of Amy’s diary entries. I did wonder at one point if Smith would only be reading the first chapter or so as Corbett does make up most of the running. To be honest, this is actually a blessing in some ways, for as good as Smith is as the Doctor, his impersonation of Karen Gillan’s accent is pure Sylvester McCoy with a not-so-helpful dollop of Jamie on top. It’s all very hilarious in a frightening sort of way, but does detract from the story at times. Still, when he’s not strangling the Scottish vernacular, Smith is most definitely enjoying himself immensely. In fact, that would be my only criticism of this CD; Smith is a bit too rushed and over-enthusiastic in his reading at times, and really could have done with the director slowing him down a touch when dealing with the exposition sections. Other than that it’s a good production, set up very much like an actual episode, including the obligatory pre-credit sequence. This is not a long piece by any means; at about 70 minutes it comes in around the same length as one of the TV specials, so is just long enough to let the story develop without making it too long for younger listeners. James Goss has taken what could have been a real pot-boiler and given it a sparkling sense of humour with some beautifully observed lines. He has captured the main characters extremely well; even though it isn’t Gillan playing Amy, you can still hear that it is the same character (although Corbett’s Doctor impersonation is almost as challenging as Smith’s Pond). So if you’ve listened to all of your Big Finishes and still need your audio Who fix, I’d definitely recommend “The Hounds of Artemis” to while away the time until the next episode.